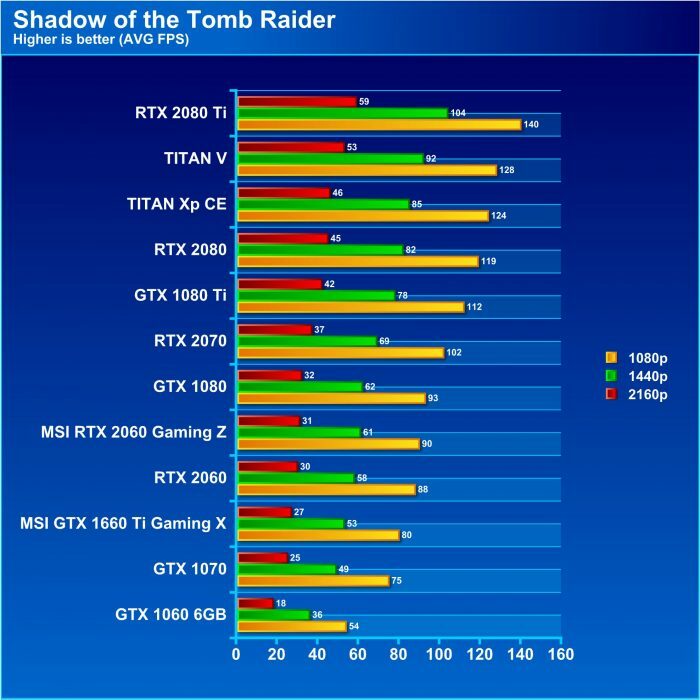 Shadow of the tomb raider show some great results with all resolutions netting a 47 – 50% performance increase over the GTX 1060. Moving against the bigger GTX 1070 the 1660 Ti Gaming X bests that one as well with a 6 to 8% gain over what would normally be considered a much more beastly card. 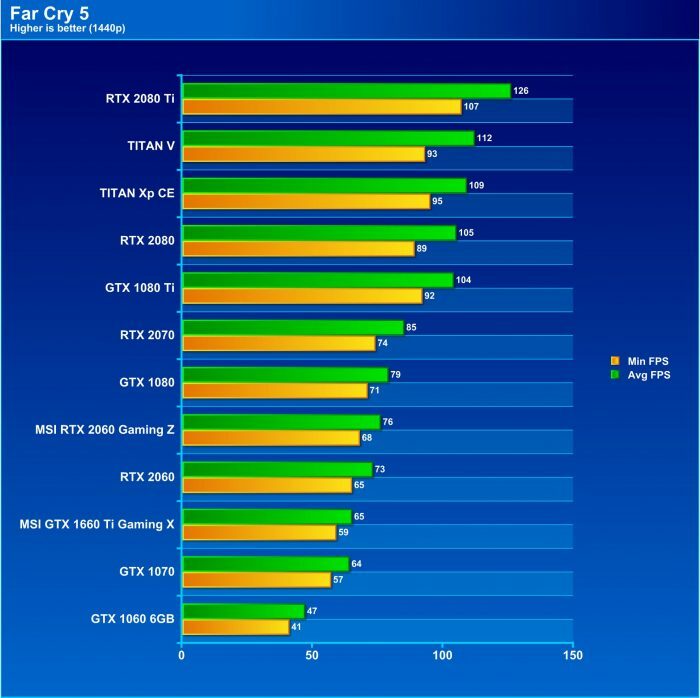 In Far Cry 5 the Gaming X shows more of the same with leads over the 1060 in the range of 37 – 42% while it runs just ahead of the 1070 by a couple percent or even dead even. 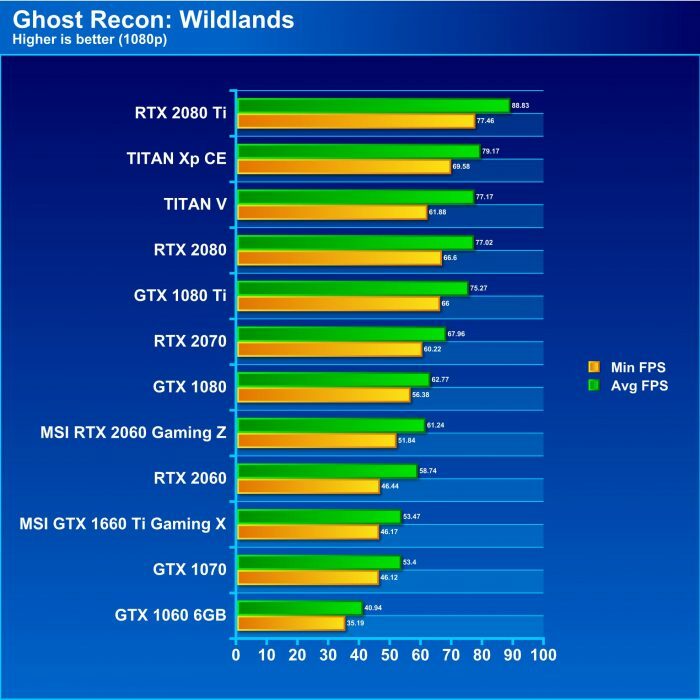 Ghost Recon: Wildlands is the last of our gaming tests, and the MSI GTX 1660 Ti Gaming X did not disappoint. 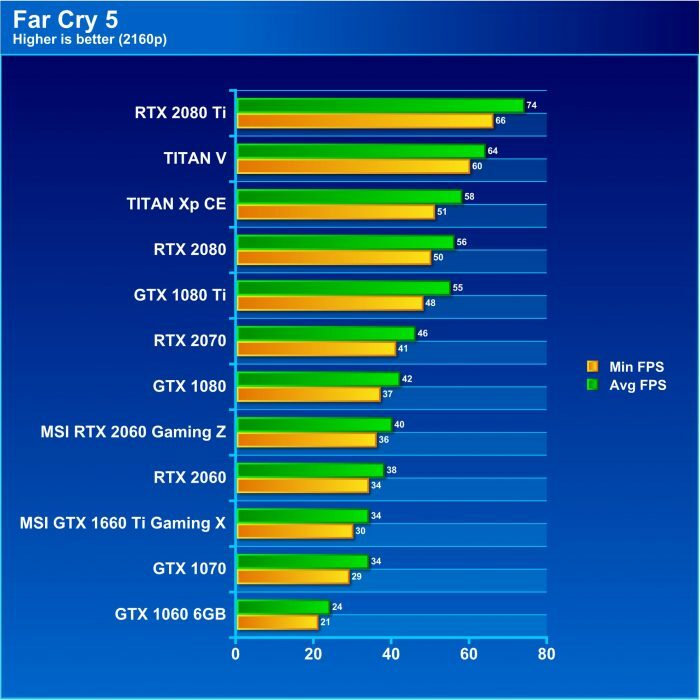 It shows more of the same with the gain on every resolution against the GTX 1060 hitting between 30 – 36%. 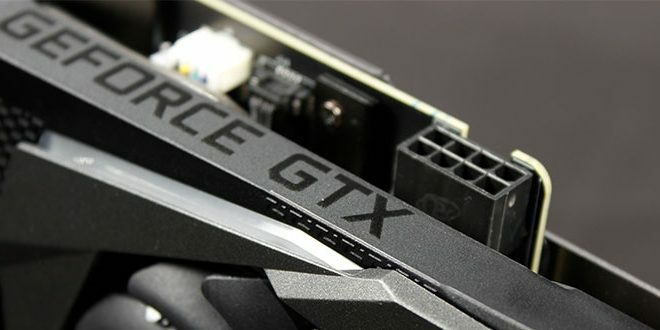 Pitting itself against the GTX 1070 once again and we see it is in lockstep with the 1070 even beating it by tenths of a percent. 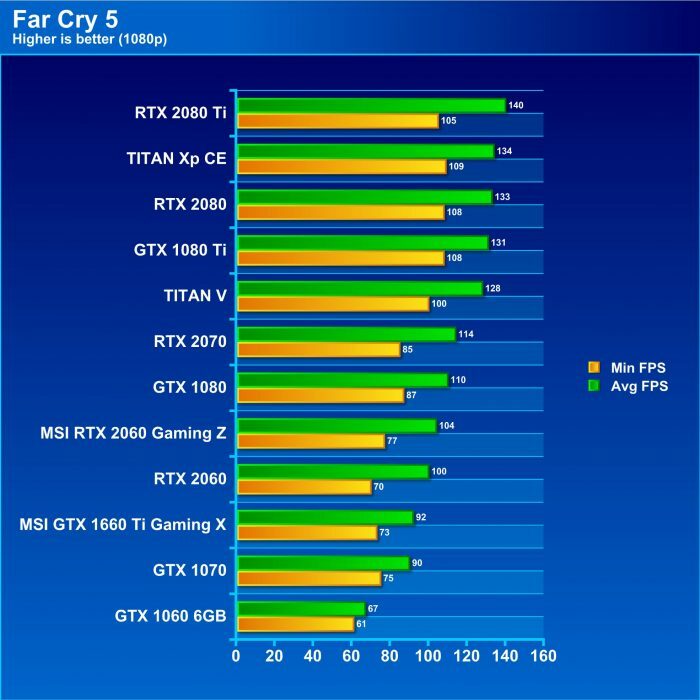 However, to be fair, I consider that within the margin for error so these cards would be functionally similar. 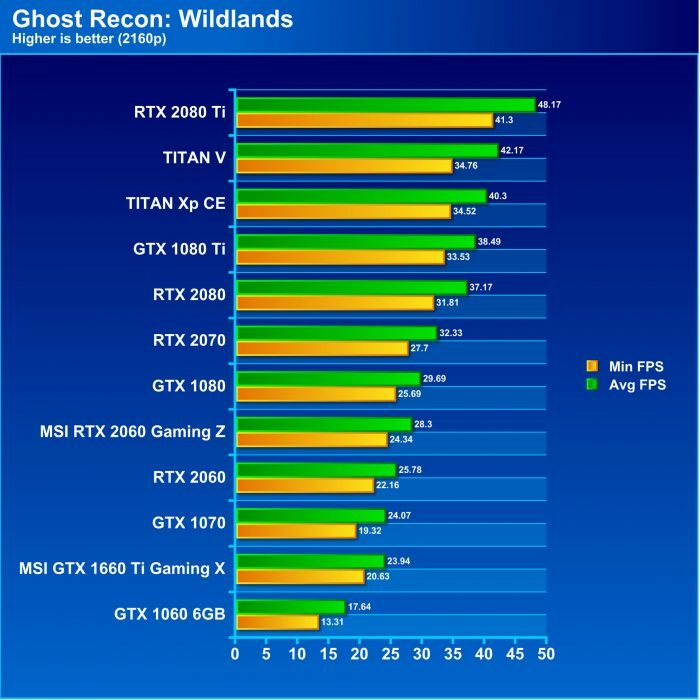 Now let’s see what happens as we try to turn up the wick on the MSI GTX 1660 Ti Gaming X and overclock it to its edge.